The Chromecast order page on Google's Play Store states that units will ship by Sept. 3. Earlier, Google did not provide a specific date and said units would ship within three weeks from the order date, but a shortage led to cancelled orders and delayed shipments. Demand for the device remains strong though supplies remain insufficient. A Best Buy store on 5th Avenue in New York City on Tuesday received 50 Chromecast devices from Google, and the units sold out in a matter of hours, according to a store salesman. Google is supplying devices to Best Buy stores in trickles. Most stores in New York were out of stock on Tuesday, but they're getting larger shipments. Initially, stores got fewer than 10 units at a time. One Best Buy outlet on 23rd Street in New York last week received only one Chromecast unit. Meanwhile, Best Buy's online store is not taking orders, saying that it's out of stock. The Chromecast is also being sold through Amazon.com, which is currently out of stock. Amazon earlier said users would have to wait until the end of October for some Chromecast units to ship, but later told The Wall Street Journal that the note was sent in error. Google announced Chromecast in July. The thumb-sized device plugs into a TV's HDMI port and brings smart TV functionality such as Netflix and YouTube streaming to larger screens. The device's functionality is limited only to a few online services, but its low price has made it an attractive buy. It competes with Roku's Roku 3 and Apple's Apple TV, both of which are $99. 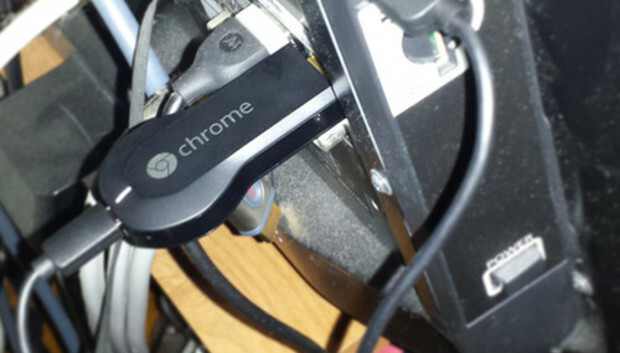 Google declined to comment on Chromecast supplies.